Thirteen graduate students from the Digital Arts and New Media M.F.A. 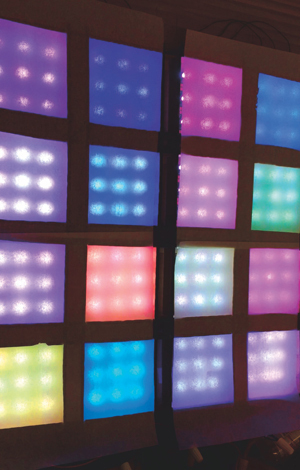 Program (DANM) at UC Santa Cruz will conclude two years of artistic study with Blind Spot—an exhibition running on campus April 28 through May 1 at the Digital Arts Research Center. The artists will share their work to illustrate the way new media and digital art is created through repurposed technology, performance, playable media, electronic sculpture, and collaborative research. 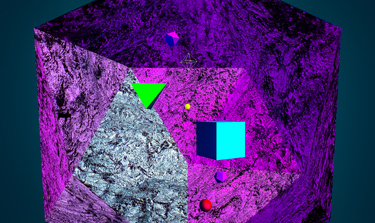 A number of the students’ projects approach game design in unorthodox and provocative ways. 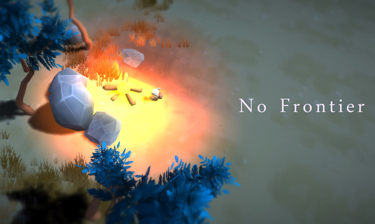 Adrian Phillips’s "No Frontier" addresses notions of frontier fantasies through a digital game for two players in which one player takes the role of a native population, while the other takes the role of a newly-arrived foreigner. While in Michael Thomét’s “Dirt Under the Rug,”the player is confronted with alternative experiences and narratives based on Thomét’s research of player psychology and playing styles. Nick Andrade and Hope Hutman shift the defining features commonly known to traditional theater into experimental performances. 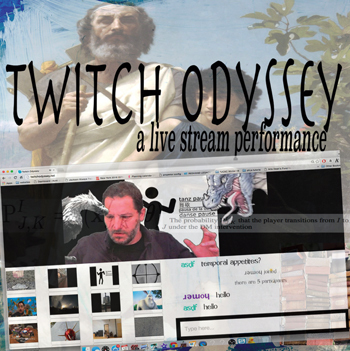 Andrade explores Narco culture through an interpretation of Shakespeare’s Macbeth, while Hutman’s project challenges the limits of theater and improvisation through the environment of the social media-based platform Twitch.tv. Steven Trimmer’s "Vocal Landscaping" is a voice interactive sound installation based on his research of modal vocalization. The participant’s musical voice is used to navigate landscapes and unlock sound puzzles, with each voice ultimately becoming a part of a larger vocal catalogue. Zach Corse’s "Encodings in Space and Time" is an immersive large-scale installation influenced by physics, information theory, and the course of Japanese glass fishing floats known to cross the North Pacific gyre. And David Harris’s work looks at alternative perceptions of color in the contemporary world and our limited field of vision by exploring such topics as unprintable color. On a completely different note, Sean Pace’s "C.R.A.W.L.E.R." (Community Roving Artists Workshop Lab for Educational Research) serves as a mobile platform for arts outreach, social justice, and field research—showcasing new technology people may have heard about, but might not have access to. In addition to the exhibition, the students will give artist talks about their projects, engage in a panel discussion, and take questions at a symposium on April 22 at the Santa Cruz Museum of Art and History, beginning at 7:30 p.m. The symposium will be repeated on campus at the Digital Art Research Center on April 30 at 1:30 p.m., followed later by the opening reception for the exhibition from 5 to 9 p.m.
For more information, visit the DANM web site or contact Felicia Rice at (831) 459-1554.